Heavenly Kitchen: The bad boy of the culinary world is back. Gordon Ramsay has once again teamed up with Dining Concepts to open his third restaurant in Hong Kong. Maze Grill is a Manhattan-inspired steakhouse that incorporates Asian influences. Look & Feel: Stylish without being stiff, Maze Grill is a sweeping space with a comfortable yet elegant ambiance. Interiors take their cue from the classic New York grill rooms with tables for two, cozy semi-circular booths with red leather banquettes, and industrial-feel light fixtures. Floor-to-ceiling windows flood the restaurant with natural light during the day, and classic harbor views by night. 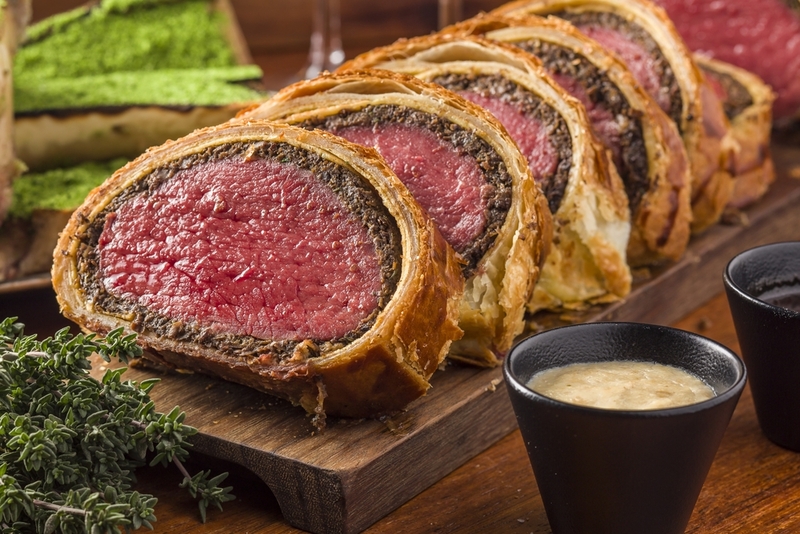 The beef wellington at Maze Grill. On the Menu: This is a steakhouse, so meat takes center stage. The star here is grass-fed beef straight from the UK, so expect luscious cuts of sirloin ($388), rib-eye ($488) and fillet ($588). Grain-fed international cuts are also available, like US dry-aged t-bone ($618) and Japanese Wagyu A5 ($1088). Both starters and mains also feature Asian influences in dishes like Wagyu tataki ($138), sliced snapper with pork crackling, coriander and gonzo ($118), and miso-glazed lamb cutlets ($288). Meet the Chef: This may be a Gordon Ramsay restaurant, but this Maze Grill kitchen is being led by British chef Gareth Packham. He’s been with the Gordon Ramsay Group for over seven years, so he knows exactly how to bring the experience to this new venture. Great For: Casual catch-ups with friends, and impressing out-of-towners with views. 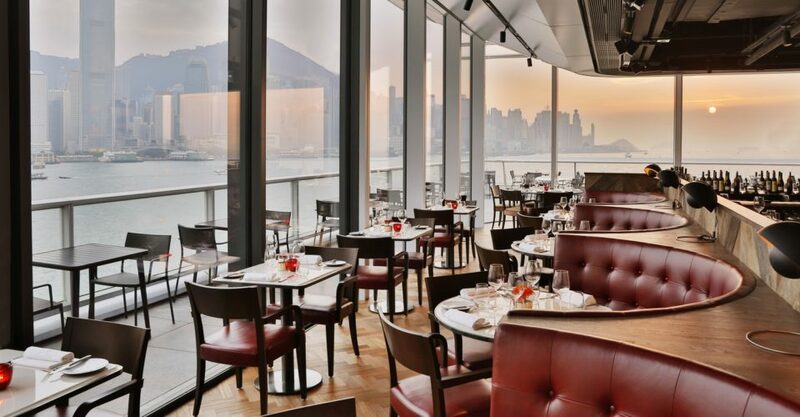 FYI: Maze Grill has an incredible, expansive terrace overlooking Victoria Harbour and serving up decadent cocktails.